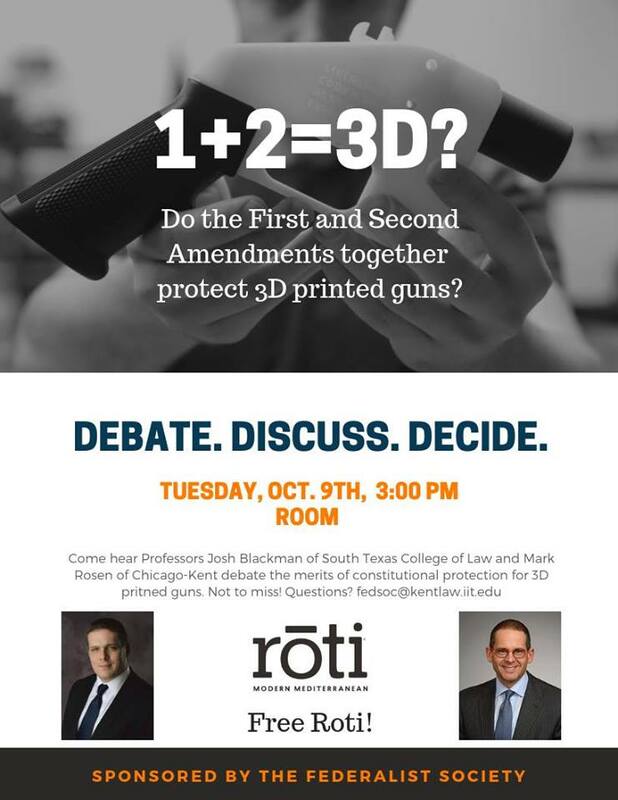 On October 9, 2018, our Federalist Society hosted an event with Professor Josh Blackman of South Texas College of Law and Chicago-Kent's Professor Mark Rosen to discuss constitutional merits of using the first and second amendments to address 3D printed guns. For a full report on the event, see the post at CK Now Blog, here. 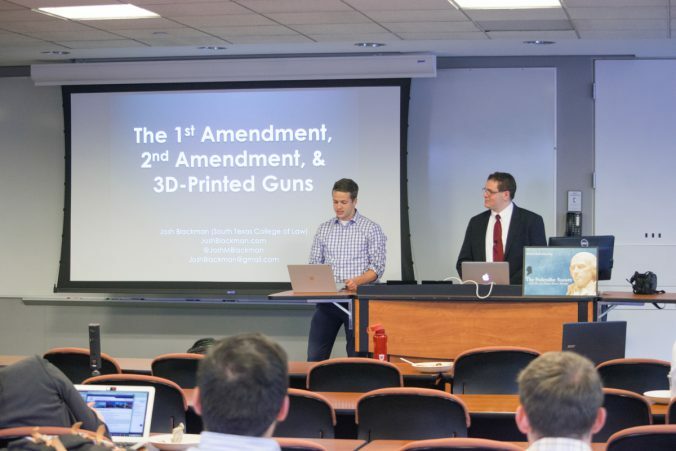 On October 9, 2018, our Federalist Society hosted an event with Professor Josh Blackman of South Texas College of Law and Chicago-Kent’s Professor Mark Rosen to discuss constitutional merits of using the first and second amendments to address 3D printed guns. 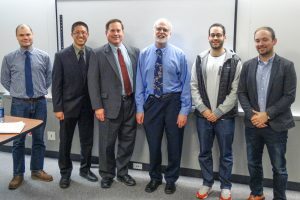 Please welcome the 2018-2019 Chicago-Kent Federalist Society Executive Board. 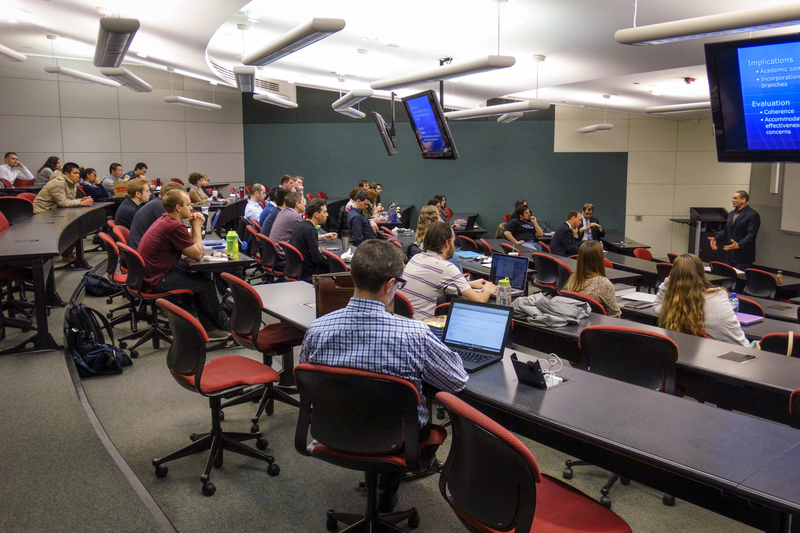 We are very excited to have such passionate and qualified students to lead the Federalist Society for another great year of learning, discussion, and debate. 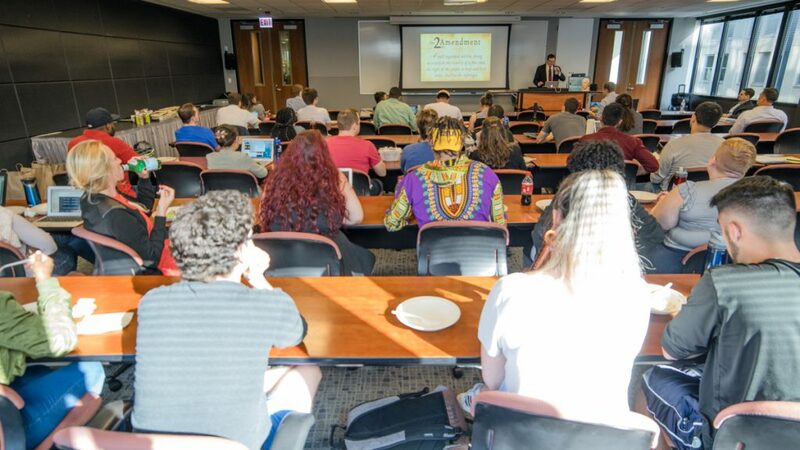 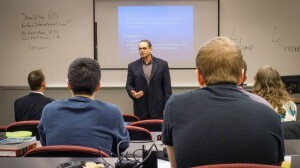 Mass shooting events in recent months, including one that happened in northern California on Tuesday, served as the backdrop for a conversation about gun violence and the Second Amendment at IIT Chicago-Kent College of Law. On Tuesday night, a panel of five experts, including gun reform activists and Second Amendment scholars, shared their diverse views on gun control and offered some ways to address gun violence in Chicago and elsewhere. 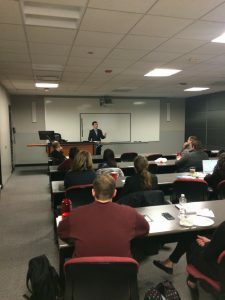 The panel — which was sponsored by the law school’s Round Table, Federalist Society and American Constitution Society — also discussed the importance of the landmark case District of Columbia v. Heller. 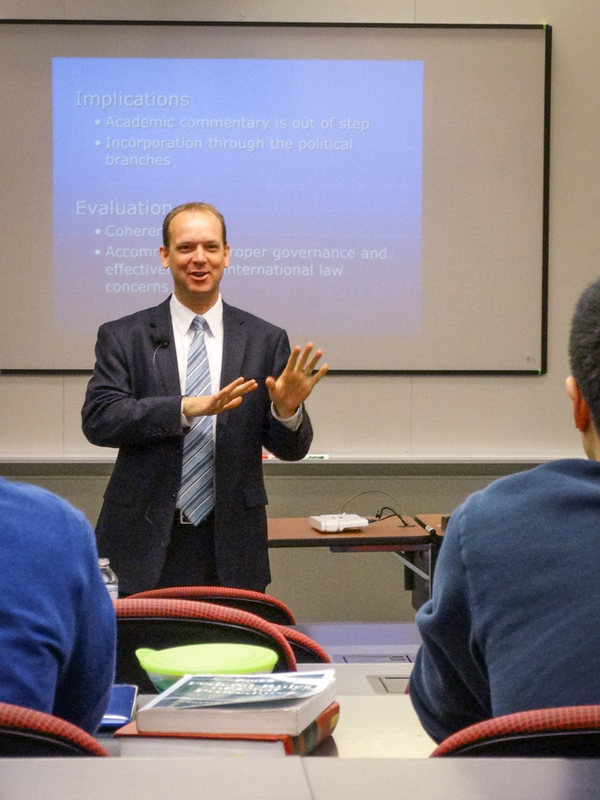 In Heller, the U.S. Supreme Court ruled that a District of Columbia’s ban on handguns violated the Second Amendment. 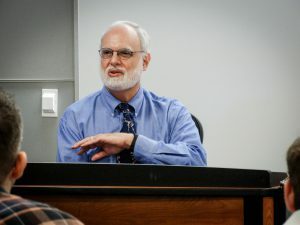 The opinion rejected an interpretation that the Second Amendment limits the individual right to bear arms in the context of a militia. View the complete story at ChicagoLawBulletin.com. We are very excited to announce the Chicago-Kent Federalist Society 1L Committee Members for the 2017-2018 school year. On Monday, Jan. 23rd, the Federalist Society teamed up with the American Constitution Society (ACS) to bring Prof. Rick Duncan from Nebraska Law to give a talk titled, “Justice Scalia and the Living Constitution.” Chicago-Kent’s very own Prof. Kent Streseman provided commentary. 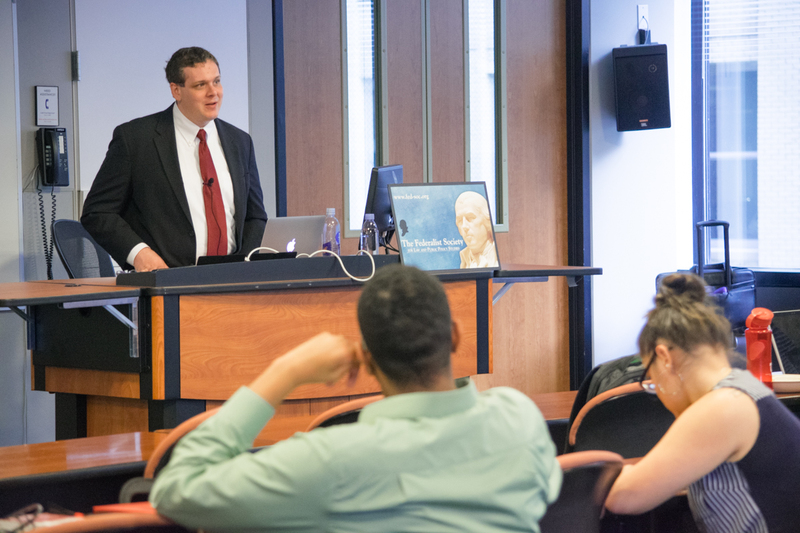 The talk covered Justice Scalia’s legacy as a Supreme Court Justice and his view of Originalism and the living constitution. 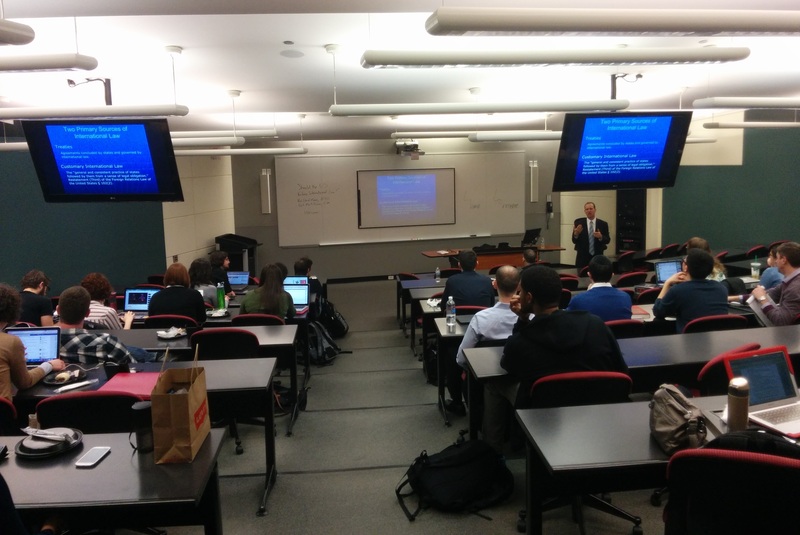 Thanks to Prof. Duncan, Prof. Streseman, ACS, the Federalist Society, and all those who made this event possible! 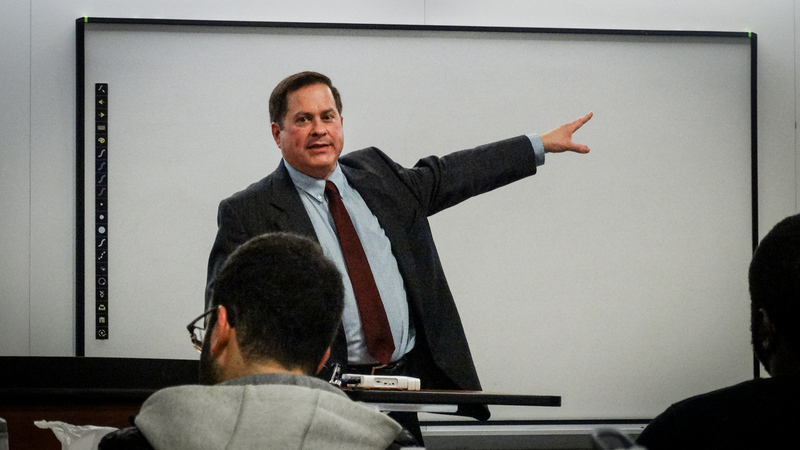 On Feb 23rd, 2016, Logan Beirne gave a talk titled, “Edward Snowden: Patriot or Traitor?” Chicago-Kent’s very own Dean Harold Krent provided commentary. Beirne spoke on how George Washington forged the original understanding of the Commander in Chief Clause during the Revolutionary War. He then applied that history to NSA surveillance and Edward Snowden’s actions in order to evaluate each according to the President’s powers under Article II Section 2 of the Constitution. Congratulations to the following members who were elected to the Executive Board for the 2015-2016 school year! 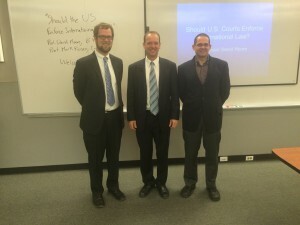 Pursuant to our bylaws, they will take office next Tuesday, April 28th. 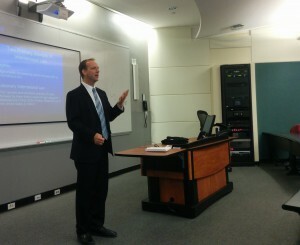 Thanks to Radley Balko of the Washington Post for giving a great talk on Tuesday! 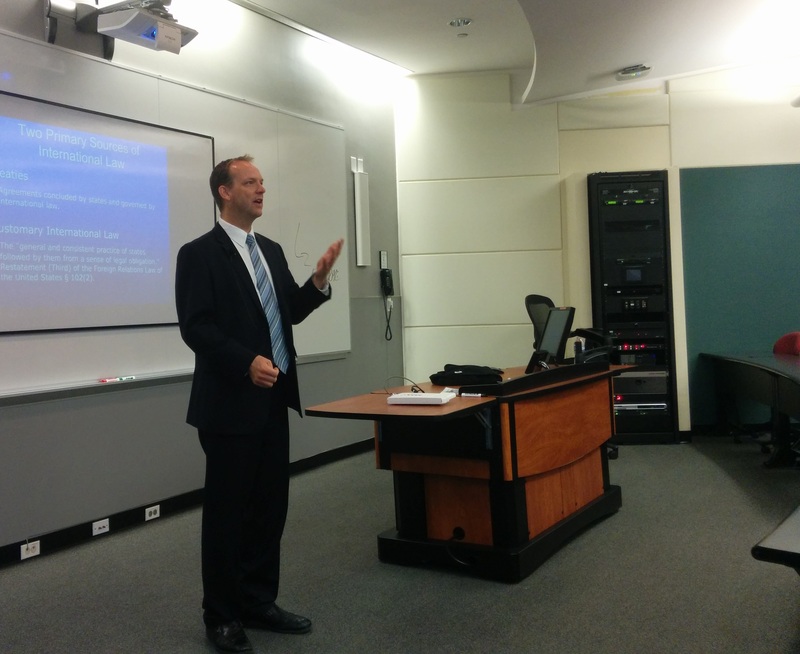 The videos and pictures he showed really brought the problem of police militarization to life. We also learned how much of the problem can be traced to the twin developments of the rise of SWAT teams and the rise of the drug war. 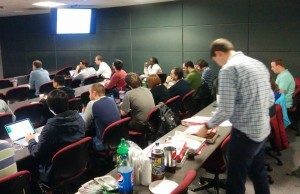 Check out some photos below, and remember our elections for next year are next Tuesday, Apr. 21st, 12pm in room 165! 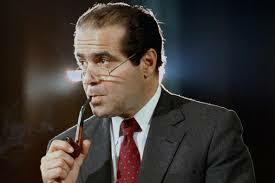 If you’d like to nominate yourself click here. 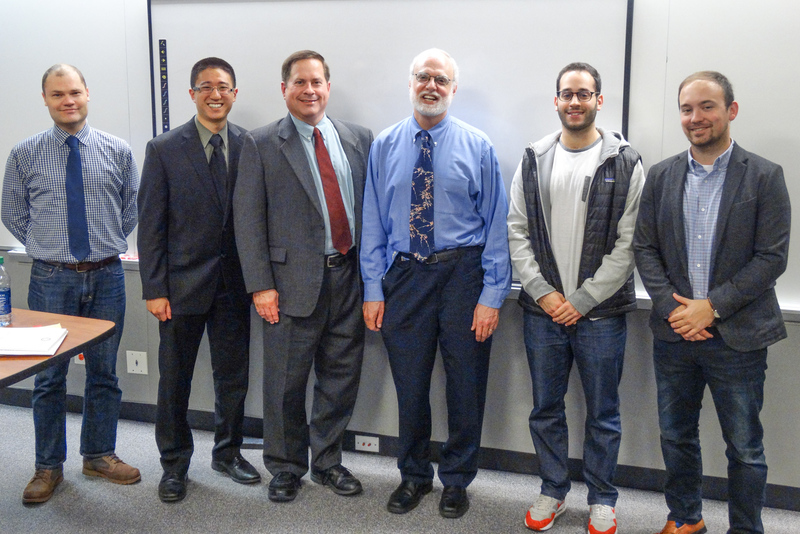 Thank you to Prof. David Moore of Brigham Young University and our own Prof. Mark Rosen for a great event on Tuesday! 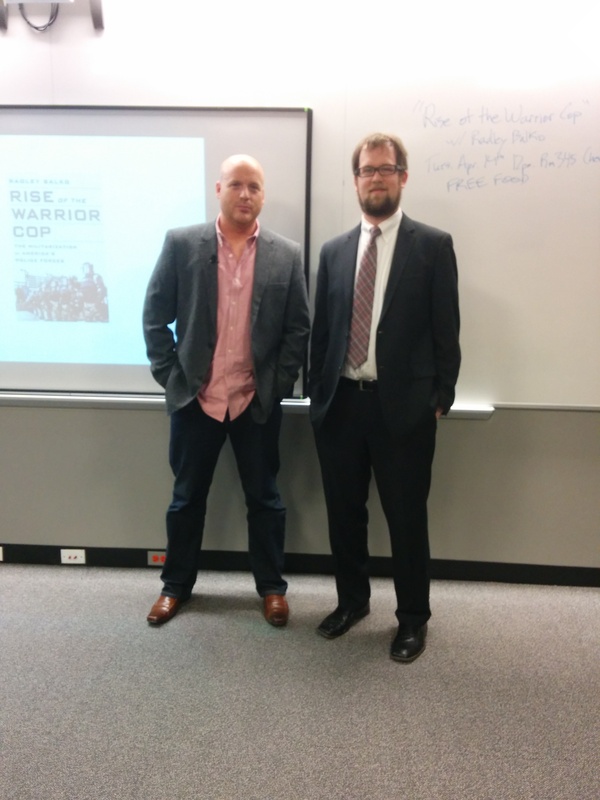 The two scholars were very engaging and gave a compelling demonstration of two very different views on the subject. 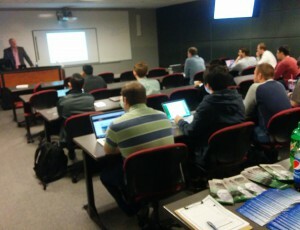 Even with a mandatory CSO event and another panel at the same time, we had a big turnout for the event. Thank you to all of you who made it out! 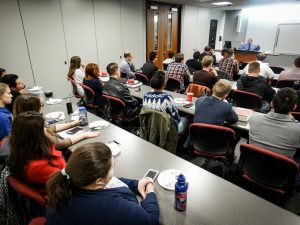 Check out some photos of the event below, and be sure to join us for our last event of the year on Tues., April 14th, at 12pm, at a room TBA, with Radley Balko of the Washington Post who will be talking about police militarization.